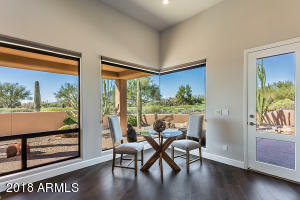 All furnishings available! 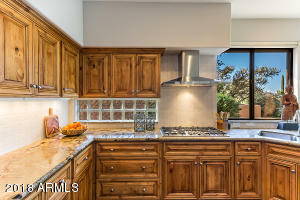 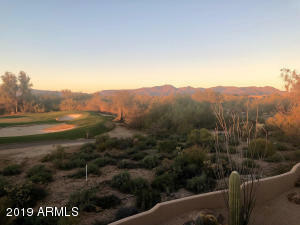 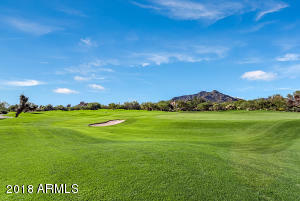 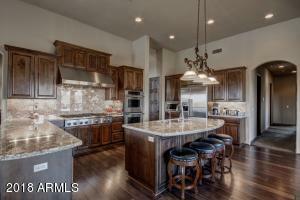 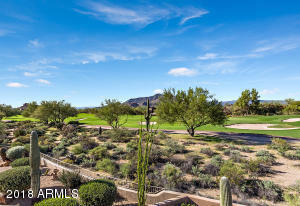 Stunning private location on the 11th fairway of the south course with common area on one side. 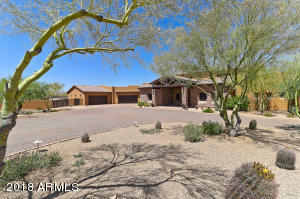 Recent renovations include: hardwood flooring, gas fireplace with floor to ceiling tile surround, barn doors, modern fans, tile back-splash, hood vent, window treatments and 10 yr roof warranty. 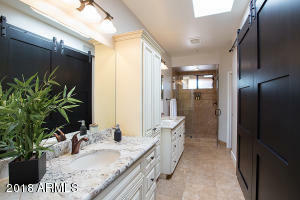 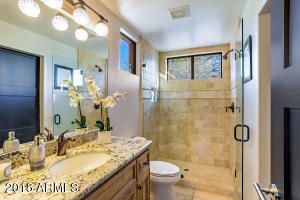 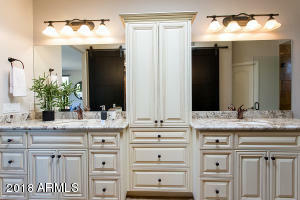 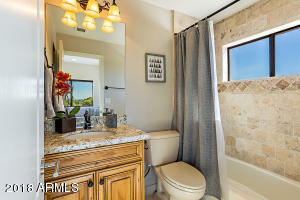 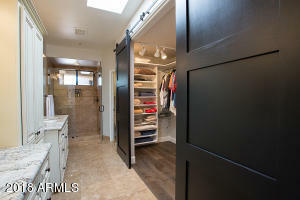 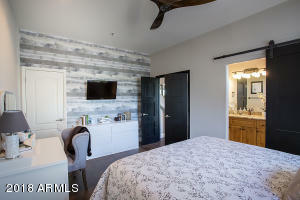 Classy closet system, his/her vanities and two walk-in showers. 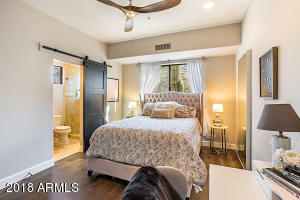 Second level is a loft/office but could easily be converted to a third bedroom, as it has a walk-in closet and full bathroom with tub. 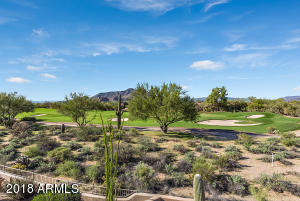 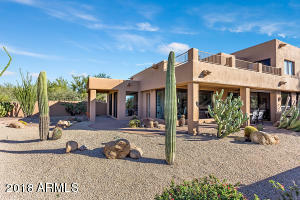 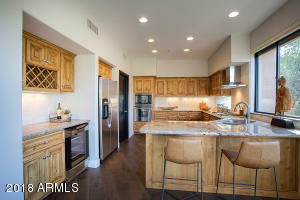 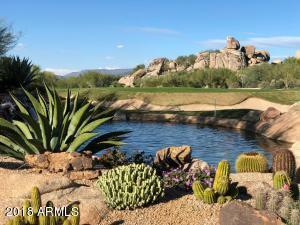 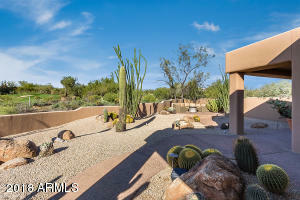 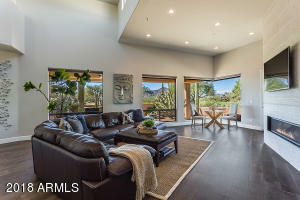 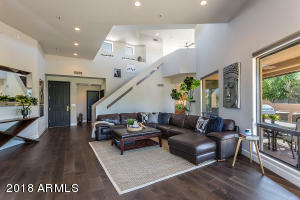 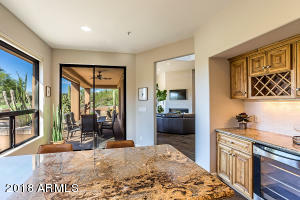 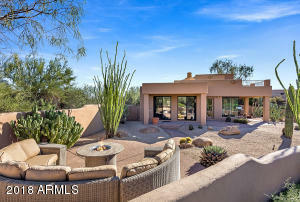 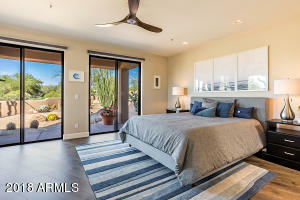 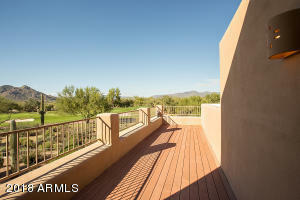 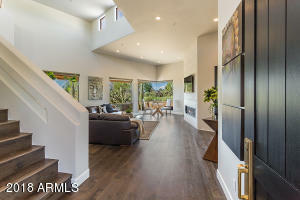 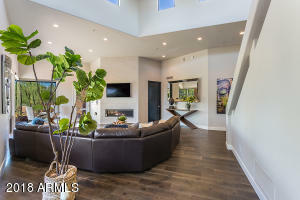 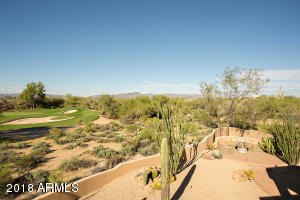 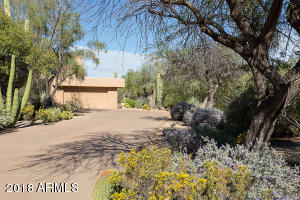 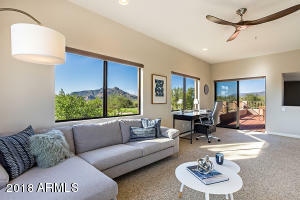 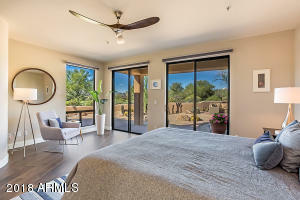 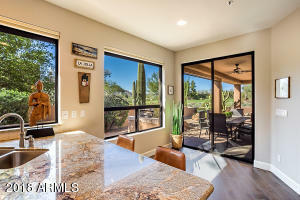 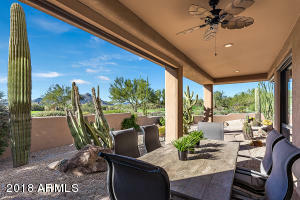 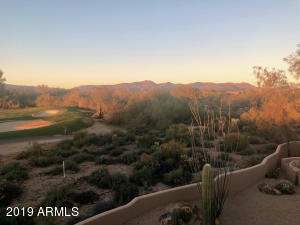 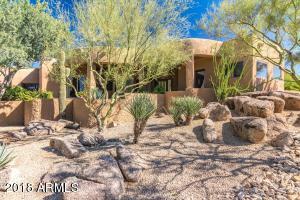 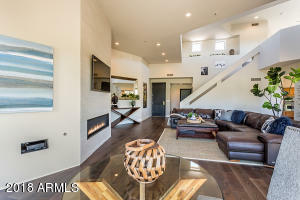 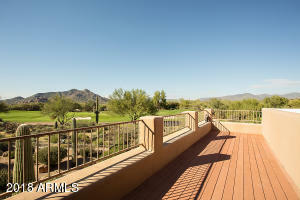 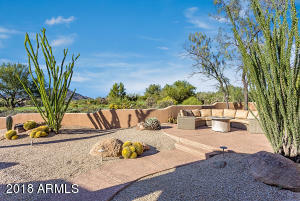 Slider off the loft leads to a patio deck with incredible views of the boulders, sunsets, Black Mountain, Continental Mountains and golf course. 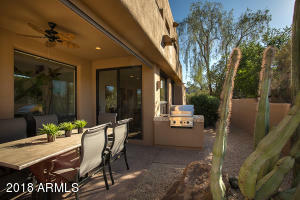 Lower level covered patio with built-in BBQ. 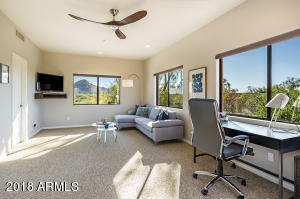 Automated sunshades. 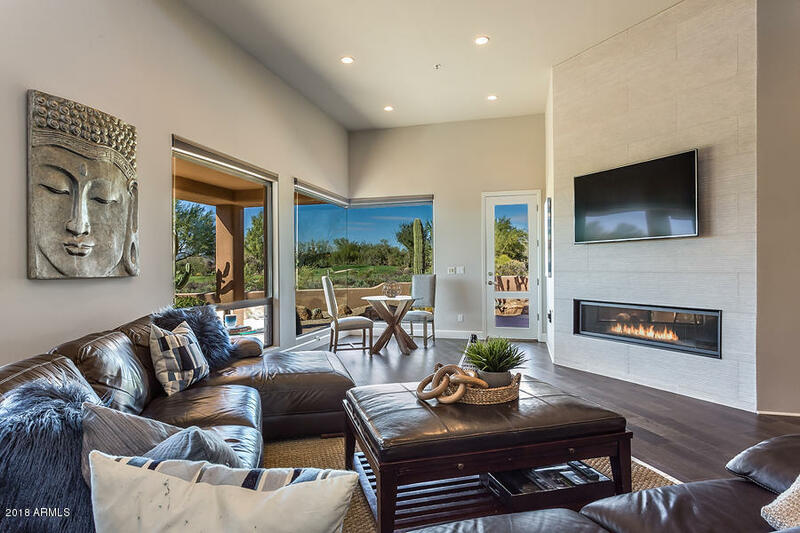 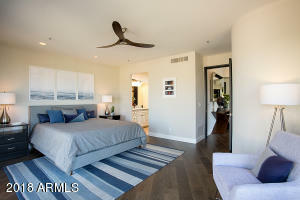 Modern, private living with views. 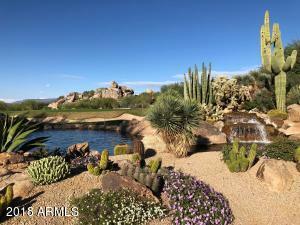 North on Scottsdale Rd to The Boulders entrance. 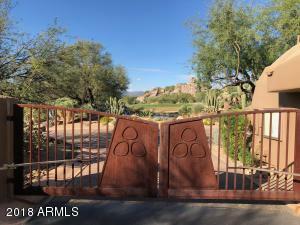 Through guard gate on Clubhouse Dr, left on Boulders Parkway to Fairway Circle, left to house. 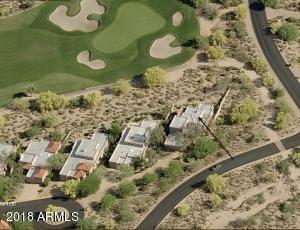 House is the last one on the cul de sac on the right.